Adrian G Stalker was a solicitor in private practice between 1992 and 1999, working in various types of civil litigation. From 1999 to 2006, he was Principal Solicitor for Shelter Scotland. 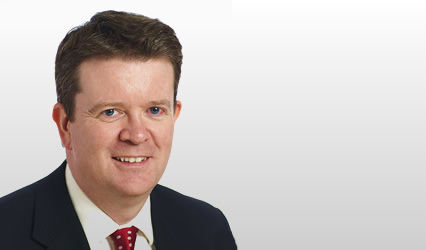 He has an expertise in all aspects of housing law and mortgage repossessions. He is regularly instructed by housing associations, local authorities, banks and private landlords, as well as by defenders in eviction or mortgage repossession proceedings, or by homeless persons in judicial review cases. His first book, “Evictions in Scotland”, was published by Avizandum in November 2007. The second edition will be published in 2018. Adrian writes a regular “Housing Law Update” column for SCOLAG. He also chaired the Government’s Repossession Group, the report of which led to the introduction of the new statutory code for mortgage repossessions of residential properties. He is a legal member of the First-tier Tribunal Housing and Property Chamber. Adrian also has a strong interest in other areas of civil litigation, in particular: property disputes, commercial leases, executries, professional negligence, judicial review, human rights and equality law, education, and debt recovery. He is regularly instructed in all of these areas. Adrian has lengthy and extensive experience in the delivery of training. This began during the course of his work at Shelter, and has continued since he called to the Bar. He regularly speaks at seminars to local bar associations, local authorities, and through organisations such as the Legal Services Agency, and Central Law Training.